I’ve been working with multiple AWS accounts for the last few months between various organisations. Logging into each one when I need to make a change quickly became tedious and slow. 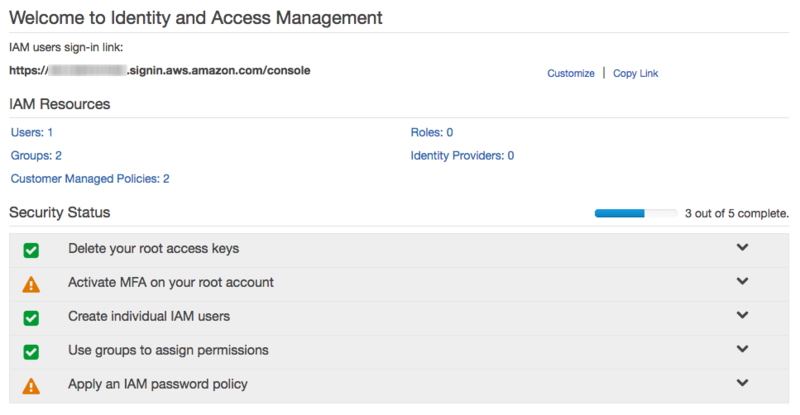 Each environment (dev, test, staging, production) has their own AWS account. The need to log in stems from taming the infrastructure with Terraform for systems that have been set up by hand and dealing with the discrepencies between them, so I tend to jump between dev and staging very often. 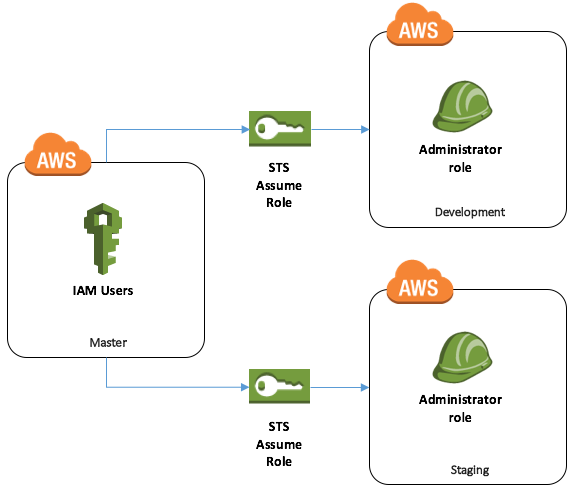 Being in this is a very normal state of affairs as most people starting out with AWS haven’t worked with any infrastructure creation automation. I will create another post detailing how to start this taming process. The second benefit of having multiple environments is that you can consolidate billing across all of them, benefit from AWS volume discounts and see the breakdown between environments between different accounts. You also have better isolation as permissions are delegated across accounts and you can easily create/lock an account, or in the event of a breach, isolate an entire environment by revoking permission. We are going to set up 3 new AWS accounts, delegate billing to the master one and have cross account administrator access for a user. This will allow you to have all the emails in a single inbox. For security, I would advise to have different emails for each account, but it complicates things for this demo. 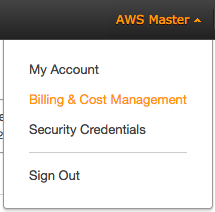 When you click on register, it will ask you for your name, use something like AWS Master for the master account as it will make identifying the accounts in the console easier, see the screenshot below. For the rest of the registration, use your proper details (name / surname). Registration will require you to provide a credit card (they will charge with $1.00 to confirm it is valid) and a valid phone number. During registration, they will call you on this number and you have to type in the on-screen pin to verify the phone number. For the support plan, choose the basic one for now - it is free. Your account is now ready, but you are not logged in, do so now. Spend some time reading through the free tier documentation, you get a decent amount for the first 12 months to help you start out. Log out and create accounts for development and production as well. Write down the account Id values for development and production, we will need them for the role delegation. Now it is time for setting up your daily account. You should never log in with your root account credentials unless something has happened to this account we are about to set up. By default, user accounts (even ones with administrator roles), cannot access the billing section as a security measure. With the root credentials, a malicious person can change your password and the email used to log in with, locking you out of your account completely. They can then abuse it until you realise this and contact AWS support to regain access to your account - this takes time and will further increase your bill. You should also set up multi-factor authentication on you account. If your master account is compromised, you can revoke access to the environments from their accounts by removing the role permission. (The credentials above have already been revoked, I decided to include actual ones to avoid formatting confusion). 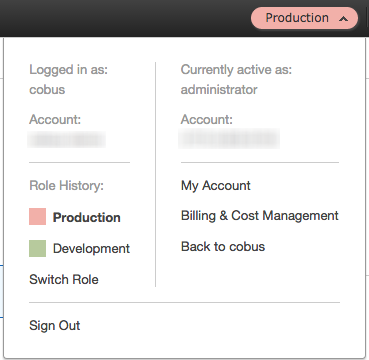 This allows you to interact with the AWS CLI via aws --profile demo-master-cobus. It is safer to not set a [default] profile as the CLI will use that when you do not specify --profile. As I work with many accounts, this is a risk that I prefer to avoid. Click on close twice to create the user. Select the user from the list and go to the Security Credentials tab. Here you can see the user and that it hasn’t been assigned a password yet. Click on Manage Password and generate one for the user. You can decide to provide one, or have it generated. Entirely up to your preference. Once again, copy & paste the credentials to a safe place - I use 1password religiously for this. You will also want to have administrator rights on the master account, so create a new group called master_administrator and attach the built-in AdministratorAccess policy to it. Now that we have a user, it is time to give it some permissions via groups. Click on the Groups tab, tick both of the groups you created earlier and click on Add to groups. You will see a number in the link, this is your account ID for the master account, write it down for later. Click on the customize link at the top/mid-right of the screen. This will allow you to choose a friendly name for your login, i.e. 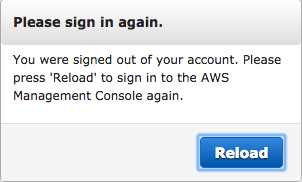 https://friendly-name.signin.aws.amazon.com/console. Choose something sensible for your account. You will be using this link to log in in future. 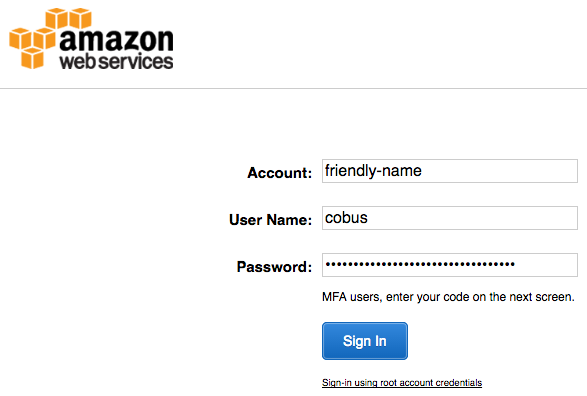 You will see your IAM account name and friendly login name at the top right as cobus @ friendly-name. 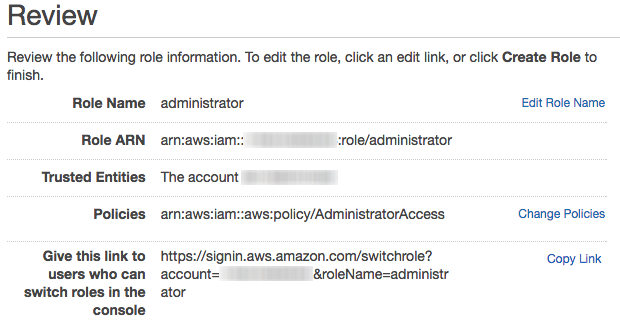 In a new tab, paste the link you copied when creating the cross account role: https://signin.aws.amazon.com/switchrole?account=development_account_id&roleName=administrator. It will bring up 3 boxes to fill in, the Account and Role will already be populated with values. 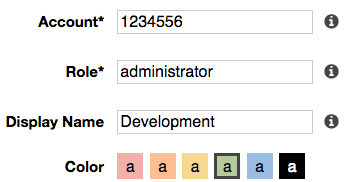 Choose a short name for the development account, i.e. Development and a colour - I use green for dev, yellow for staging / uat and red for production environments. You will see why when we go back to the first tab. Click on Switch role, wait for the screen to load, then close that tab. Open another new one and do the same for production. Close the tab when done. You are now able to switch between development and production without having to log in! 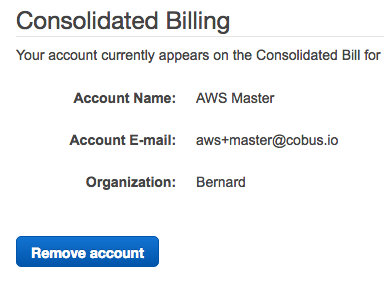 If you want to go back to the master account, simply click on Back to cobus in that menu. What is happening in the background is the console uses your master account user to generate temporary credentials on the development / production account via the STS service and using them to access the other environments. This will allow you to add --profile <target> to your CLI commands, i.e. 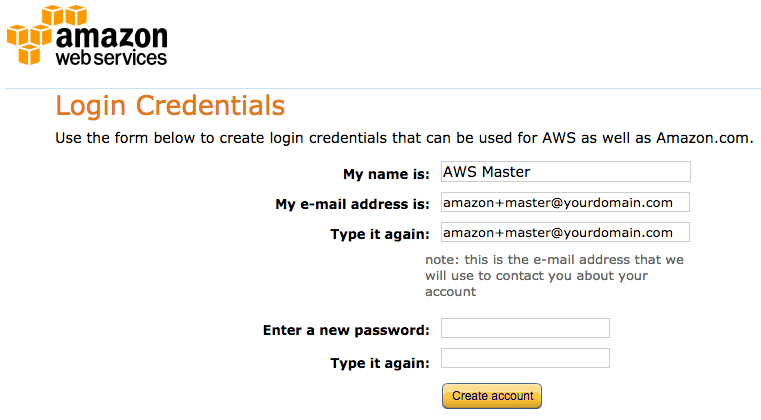 aws --profile demo-master-cobus s3 cp s://my-bucket/myfile.txt ./ to copy from a bucket created in the master account. Or if you want to copy from a bucket in the development account: aws --profile demo-development-cobus s3://my-dev-bucket/myfile.txt ./. 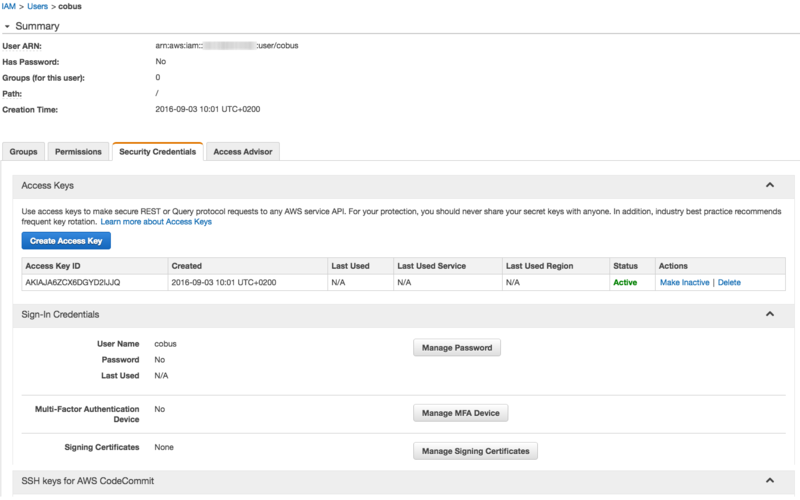 You are now able to update each individual AWS root account using a single crednetial set. When managing many users, this becomes very powerful as you only have a single location to look at to assess what a user’s rights are across all your environments.